While this is a great place to help out each other and share information, we also have other services that you can reach out to. Our team will work towards a resolution on your request as soon as they can. Please send an email to [email protected] with you Gamertag included. In regards to the car "classes" ...... I was reading in the patch notes and realized that a few cars were not classed. Specifically the Ice Charger . Any info would be appreciated. Hello, I submitted a ticket 10 DAYS ago about not receiving my Gold Trail, I was Gold 1 Division 2 and I did not receive my season 4 reward for Gold, just Silver and Bronze, please help? I have been playing on the Xbox one now since release, and I have never had any problems... Recently though, the game started to crash on my Xbox. The screen would turn black and it would kick me back to the dashboard, causing me to have to scramble to get back into the match. I have tried many things, such as uninstalling the game and reinstalling it, moving it from the Xbox hard drive to the portable drive, changing network settings, and last night I even bought a new Xbox because the other one was very old. Nothing has worked. I can't go more than a few games without it crashing, and it usually ends up crashing almost every game. I have tried everything I can think of and I am at the end of my rope. Any advice or help would be GREATLY appreciated. One last note. I have absolutely no problems when I play on the PC or PS4... This ONLY happens on Xbox. steelcurtain360 wrote: I have been playing on the Xbox one now since release, and I have never had any problems... Recently though, the game started to crash on my Xbox. The screen would turn black and it would kick me back to the dashboard, causing me to have to scramble to get back into the match. For those logging requests with lag issues - what's the most useful information that can be provided in terms of traceroutes - do you have a server list that can be tested against? 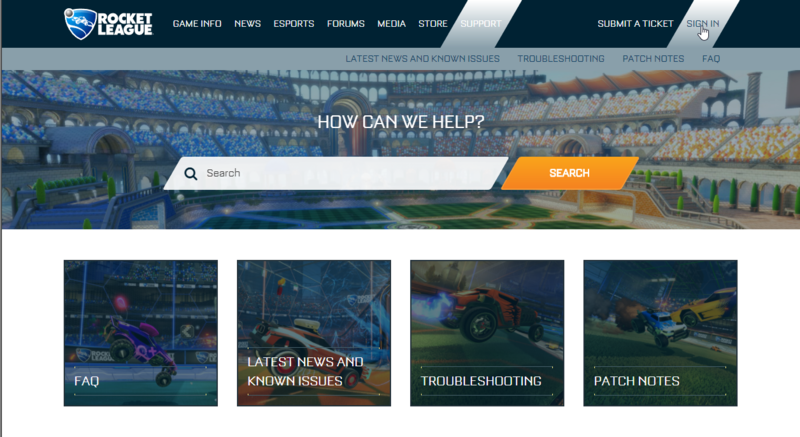 So for the past 2 weeks i haven't been able to play rocket league. 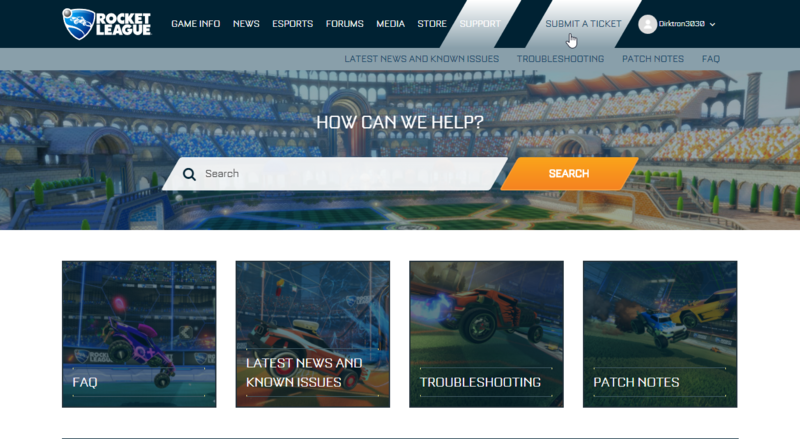 every time i log onto the game and go into the find match feature, all it says is "unable to contact rocket league servers please try again later." this issue has been going on since the last minor update. I have tried to uninstalled the game and reinstalled it, and that didnt work, i have also tried resting my xbox one and reconnecting to the internet but still nothing. The only way for me to find a match is to either join someone who is already in a game, or one of my friends has to host a party and find one that way, i am not able to find one on my own. If anyone has any help to offer that would be fantastic. Yes, we do have a list. You can PM me if you would like to tracert some servers. which is a return-redirect. it does not forward to the sign in page. EDIT: thinking maybe i was signed in already (im not, but glitches happen) I clicked the 'submit a ticket' button. Redirected back to the sign in page. 'We're sorry to hear that you encountered an unpleasant trade experience. It's important to note that we do not get involved in trading disputes as a matter of course. We understand that this may be difficult to accept, but we insist that players ensure that a trade is fair, equitable and whole before accepting. We invite you to review this article to get tips on how to avoid problems when trading. If you believe someone scammed you, or hacked your account, we can review the transactions and let you know what we see on our end. However, it is not possible for us to look into accounts that do not belong to the person getting in touch with us. At the same time, the same rule as before applies. Trades are final, and we are unable to rollback any of them. 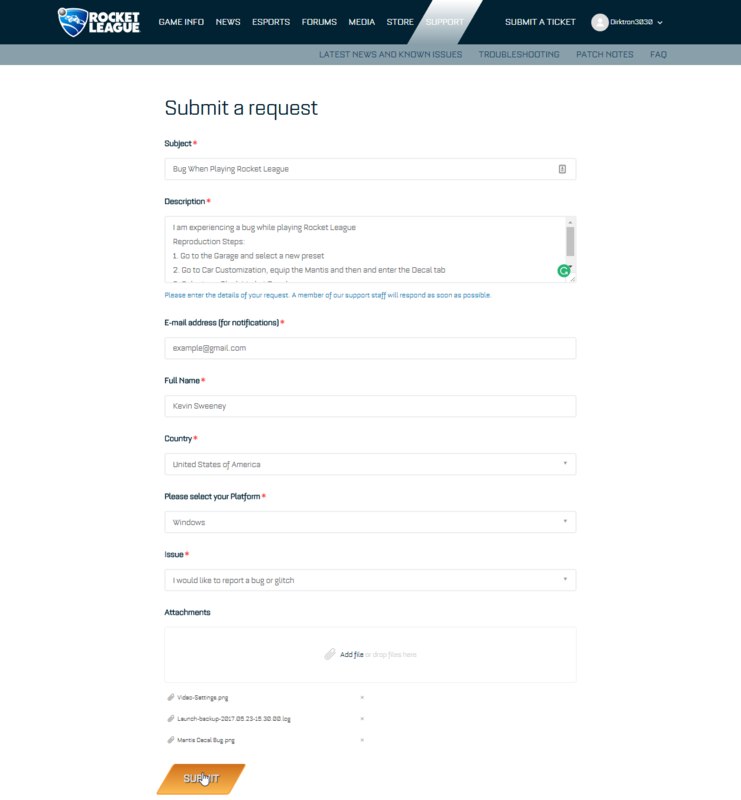 I am trying to follow the procedure you describe but I never get to the actual login page to create a ticket. I am landing always on the support home page, no matter what I click. Maybe you can help me here or direct me how to proceed. In inventory you can trade 5 items with the same quality for a better one. We got 1x Turbine wheels (default color). This is definitely not a better item !!!! There is something going wrong here. We feel scammed and disadvantaged. The system doesn't consider paint finishes nor certifications. It sees 5 import items and converts them into an exotic item. Nothing is going wrong. I can understand that, so far had no problems with that. It was always a better item compared to what we gave up. But this time it's definitely not a better item in my opinion!!! Can we undo this some way? Would appreciate it very much. I can understand that, so far had no problems with that. It was also a better item compared to what we gave up. My only problems is that it should be a better item but this time it's not !!! There's no way to undo that. It's always a gamble. Hi. I have a problem - as I recently played with a friend ranking game, my team came out 1 person and did not come bot. Is this a mistake or is it supposed to be?